This work by Xavier de Richemont was the opening act at the launch of GLOW in 2006. Because five years ago only a few people have actually seen it, this year a repetition follows. A performance on the outer walls of the Van Abbe Museum suggests the building is on fire and burns within minutes. 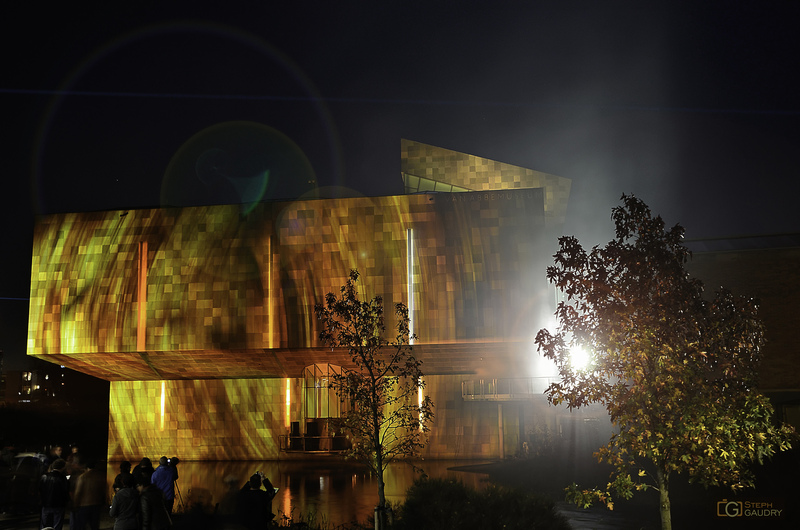 The projection is strong and closely matches the shape of the building, so the actual structure of the museum disappears and the fire looks genuine. With this work De Richemont refers to a quote from Pablo Picasso, where he calls for burning down the museums, because creativity is only locked up here. By taking down the proverbial walls, the gap between art and audience can be closed. The accompanying music is inspired by a composition of Claude Débussy. More photos related to the Van Abbe museum.